Friend and follower, Alyssa works in Public Relations and loves cupcakes almost as much as we do. 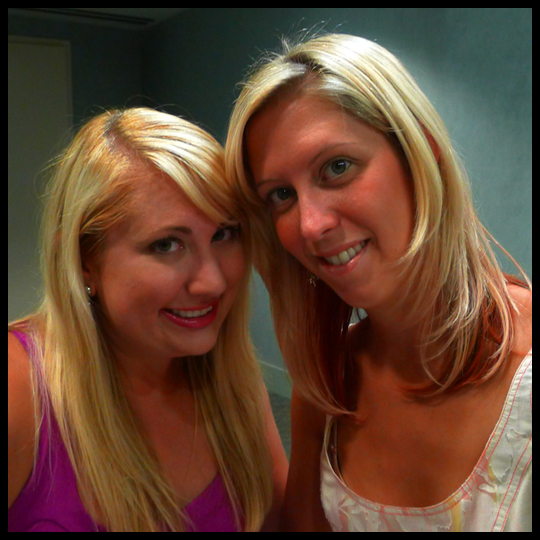 Today, she shares with us her very first guest review from our date night at the Best of Baltimore Party. Thanks Alyssa! For the second year in a row, Crusader Elisa and I attended Baltimore Magazine’s Best of Baltimore Party at the Hippodrome Theater. 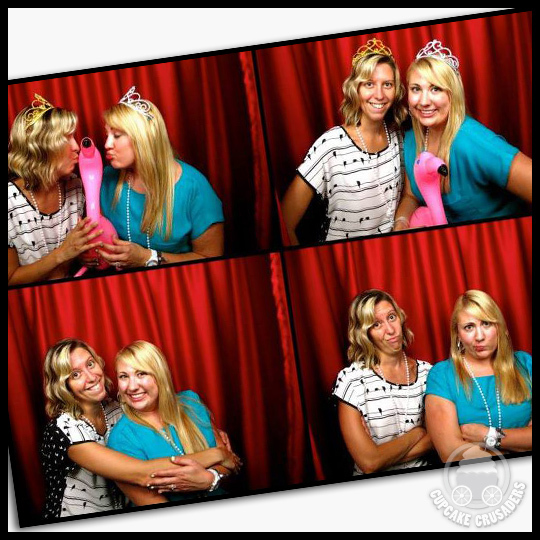 It’s such a fun event, complete with delicious food samples, booze and a photo booth (LOVE a good photo booth!). But being that I was with Crusader Elisa, we were on a mission that sticky August evening: to sample Baltimore’s Best Cupcake. (Last year Crusader Elisa reviewed the cupcake offerings, this year, I was up for the challenge!) Baltimoreans wisely voted La Cakerie as the Best Cakes, so Owner and Executive Chef Jason Hisley had a HUGE booth full of full-size cupcakes, macaroons and cookies for guests to taste. Elisa and I selected our treats – Orange Creamsicle for me, Chocolate Salted Caramel (Jason calls them “The Baltimore Cupcake”) for her, coconut macaroons for both of us – and headed to a table to get our nom on. Elisa could not stop talking about how much she loved La Cakerie’s cakes, how great the owner is, and on and on and on about how amazing and delicious and wonderful it all is going to be, so I had pretty high expectations for this experience. 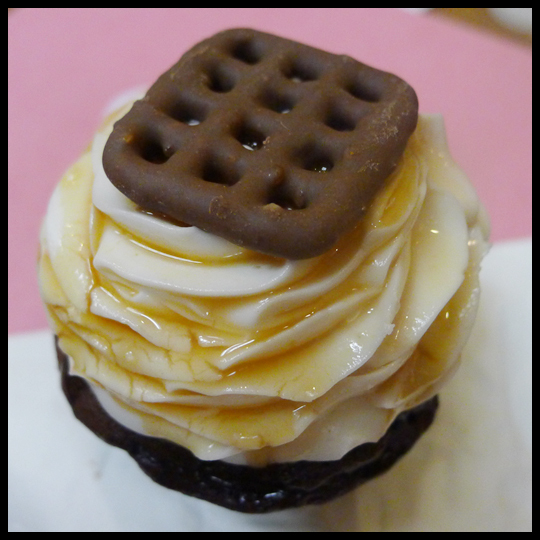 Well, can I just say: these cupcakes BLEW MY MIND. The orange cake was light and orangey without being too sweet, and the buttercream frosting was orangey without being too acidic or too sweet. 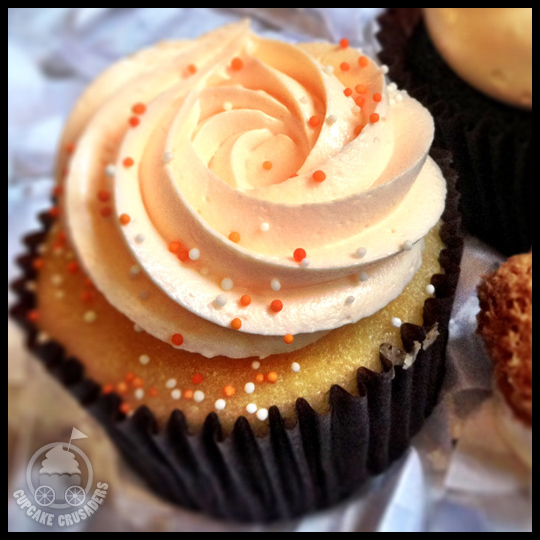 The only other orange creamsicle cupcake I’ve had was way too sugary and tasted like a bottle of orange soda in frosting form. But La Cakerie’s version was like an orange cloud of deliciousness exploding in my mouth. I could have easily eaten three more of those if given the opportunity, if I wasn’t going to be harshly judged by my peers. I haven’t had too many chocolate salted caramel cupcakes in my life – maybe three varieties at most; I’m not a cupcake connoisseur like the Crusaders – but La Cakerie’s was the best version of that combination that I have ever, ever had. The cake was incredibly moist, chocolaty and ACTUALLY SALTY. The caramel frosting was smooth and sweet and perfect. It was everything I’ve ever dreamed of and more. Jason placed a chocolate-dipped crab chip (WHAT!) on top, firmly cementing the salty-sweet combination as the greatest combination to ever happen to man. The coconut macaroons were bite-sized chewy balls of goodness, and I was able to sneak three into my purse for snacking later. 🙂 All in all, our La Cakerie experience was fantastic. I can’t wait to visit the newly-opened Mount Vernon store! And the rest of the party was pretty fun too. 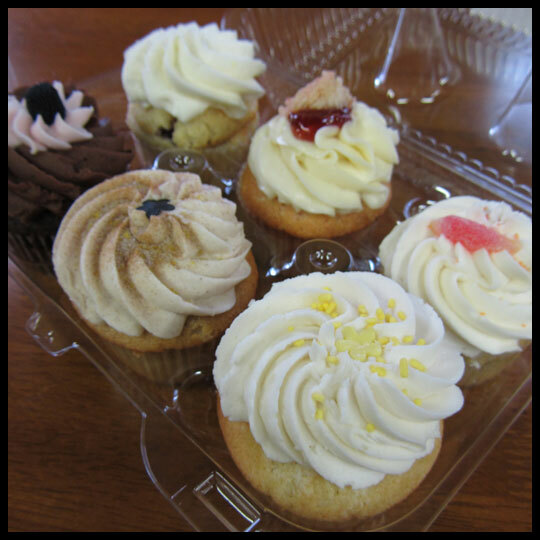 Guest Crusader Rebecca is back again with a review of Gigi’s Cupcakes, a successful chain with locations in 23 states. Thanks Rebecca! During a recent visit to Savannah, GA, I told my best friend we had to sample some cupcakes while I was there! Her daughters (and husband) were also excited to share in the tasting with me. We stopped at Gigi’s Cupcakes quaint shop and learned they offered cupcakes, mini cupcakes, and cheesecakes. We decided to pick out a few flavors and share them back at home. Minis have to be purchased by the dozen, so we went with single (very frosted!) cupcakes. 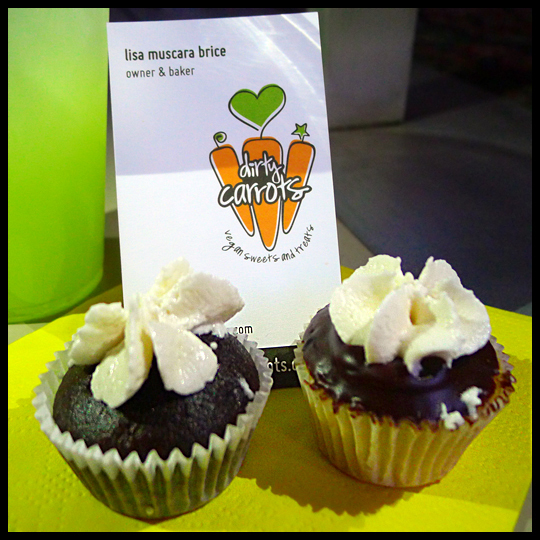 The Carrot Cake had a nice carrot cake flavor. I personally wish the frosting had been a bit more heavy on the cream cheese, as it was more sweet than savory. 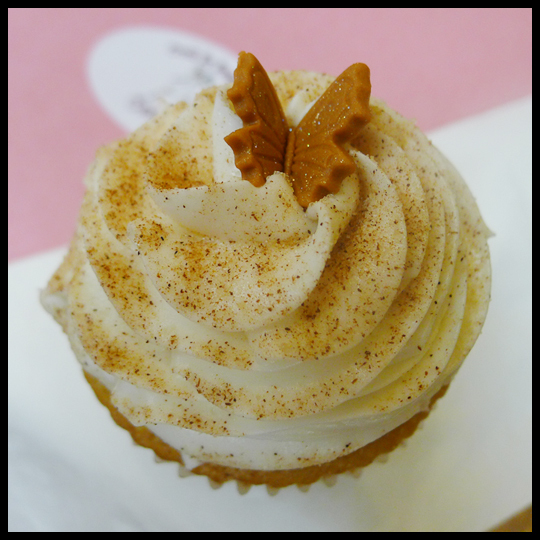 The Snickerdoodle was my favorite cupcake of the bunch. There was a homemade mini cookie on top and the frosting had a rich taste of cookie dough. It had a strong cinnamon flavor and great texture, with a sugar crunch. Once again, the cake was nothing special, but the frosting was standout! The Lemon Dream Supreme cupcake had a nice lemon flavor, but I always want more! Overall, it was pleasant, but a bit more sweet than tart. The Strawberries and Champagne was my least favorite cupcake. It was their daily special and one of my favorites from IcedGems, so I was looking forward to it. The cake tasted like a basic strawberry cake mix, not very strong on the flavor and the frosting was missing that kick of champagne. 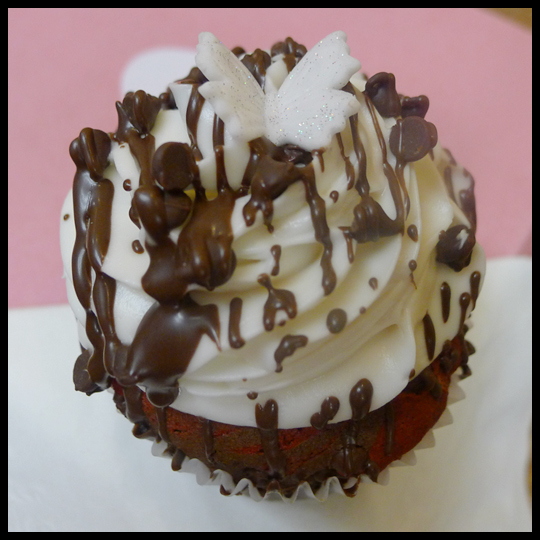 The sugar crystals added nice texture, but this cupcake lacked flavor overall. The frosting on the Chocolate Salted Caramel cupcake was simply divine. 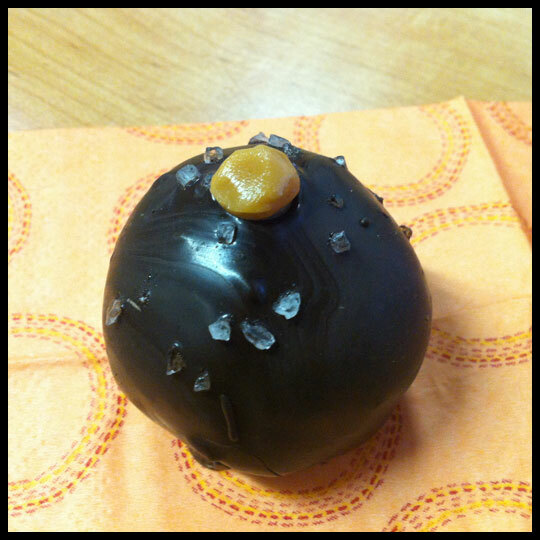 A lovely rich caramel flavor with strong hints of salt, covered in chocolate ganache. The cake didn’t stand up to the frosting, as it lacked some flavor, but was not dry. All-in-all the frostings were the standout pieces of these cupcakes! They are perfect for the frosting lover and I enjoyed sharing cupcakes with friends I don’t see enough! I don’t know if I’ve told you all this before, but I’m an avid coupon clipper. Crusader Stacy is responsible for getting me started after she subscribed to the weekend newspaper a couple of years ago. Now I’m a subscriber myself and enjoy sitting down on the weekends to browse through the circulars. It’s always an exciting clipping day when I come across baking coupons. I found myself on a trip to the grocery store with two, one for Betty Crocker FUN da-Middles and another for Duncan Hines Frosting Creations. Since the Baltimore Cupcake Picnic was fast approaching, I decided I would put these two things together in mini cupcake form (please don’t think less of me for mixing brands). 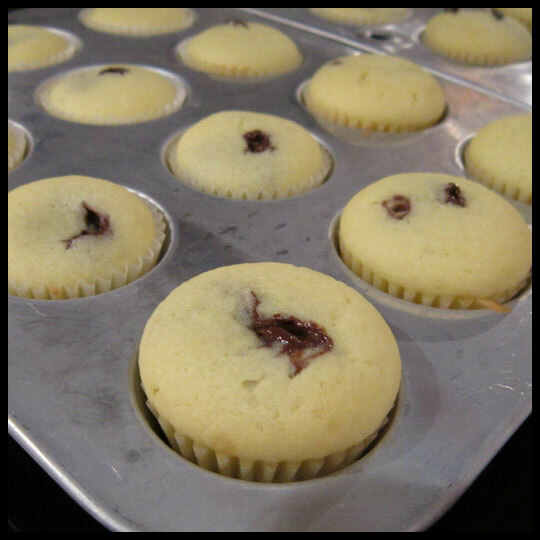 Betty Crocker FUN da-Middles have a chocolate (or vanilla) center that you bake in the cupcake, which saves you time later having to fill them. It still amazes me how the chocolate center stays smooth and creamy. I may have overstuffed my mini cupcakes, but the frosting hid most of the bursts. 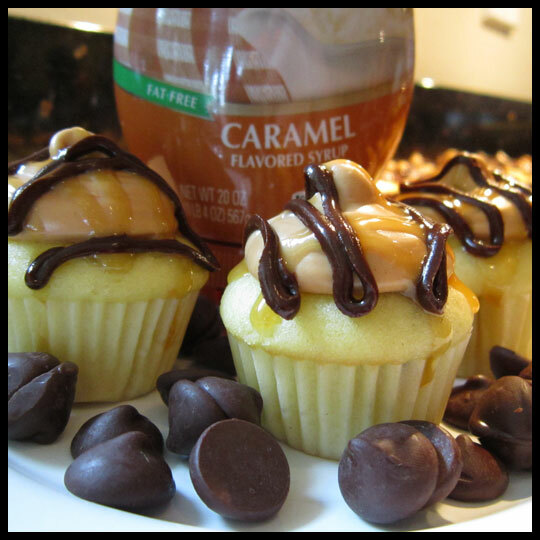 I decided to pair the vanilla-chocolate FUN da-Middles with Duncan Hines Caramel Frosting Creations. You can never go wrong with chocolate and caramel, right? I had to add confectioners’ sugar to the frosting because it was too runny to pipe. I lined all my minis up to frost and add caramel and chocolate ganache drizzles. I made my own chocolate ganache and used Smucker’s Caramel Sundae Syrup. I put each into a small bag and cut a tiny opening for more control over the drizzle. Just to take the flavor to the next level, I sprinkled half of the cupcakes with course sea salt. The Crusaders all agreed that the salted cupcakes were our favorite of the two. 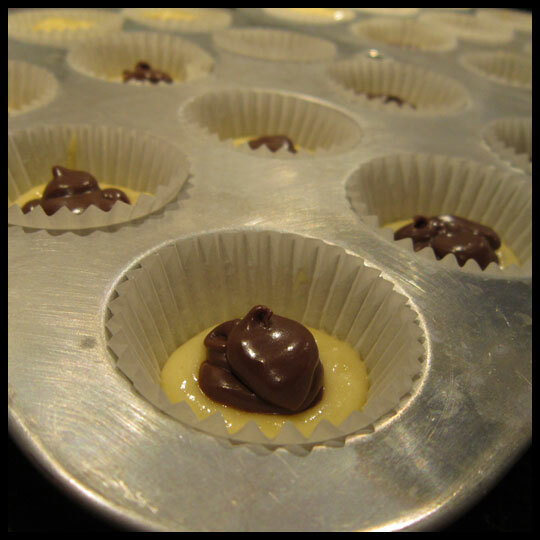 The difference was mild, but it really rounded out the sweetness and gave it that little something extra to make the cupcakes special. My overall thought on working with Betty Crocker FUN da-Middles is that they are pretty neat. My grocery store is no longer carrying the product line and it seems like a few other places I shop at occasionally don’t have them either. I guess it hasn’t been a popular item, but I’ve seen recipes I would like to try where I could modify the filling flavor, so I’ll have to be on the lookout for more. 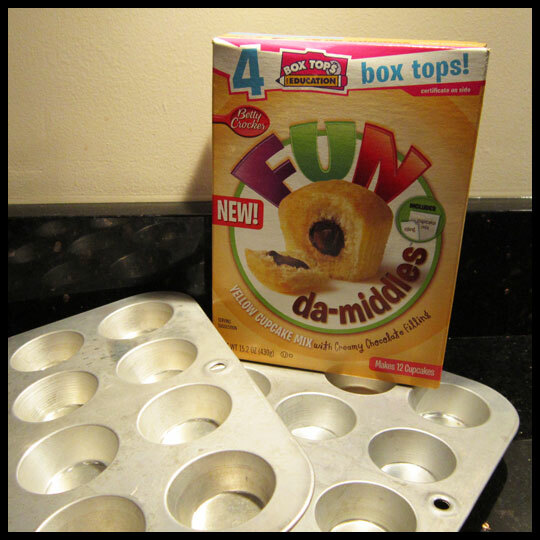 If you’ve tried FUN da-Middles before, let us know what you thought and if you changed up the mix. Best of Baltimore Party, with cupcakes! When my co-worker, Alyssa, asked me if I would be her date for the Best of Baltimore 2012 Party I jumped at the chance to go to this exclusive party dedicated to all the best things in Baltimore. It was at the Hippodrome this year, which is a favorite venue of the Crusaders, and boasts tons of food, drinks, dancing, Baltimore fun… and cupcakes! Luckily I mentioned to Crusader Stacy that I was going, because her immediate reaction was, “I bet there will be cupcake places there!” Surely enough there were – two in fact – and Alyssa and I hunted them down to try the confections of the night. 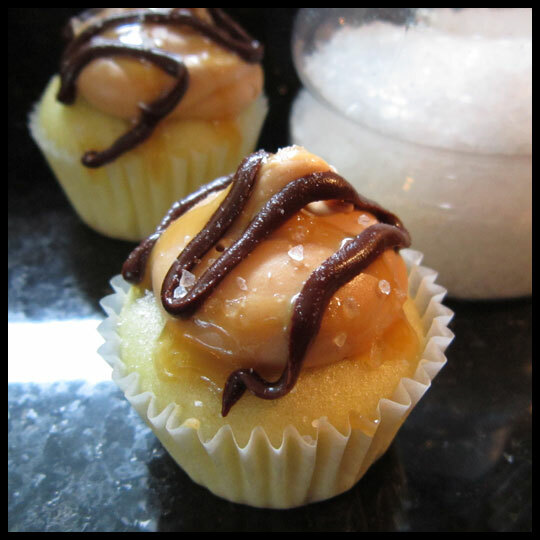 This mini cupcake, which Crusader Jenn and Stacy have tried before, was really good! The cake was moist and had good texture – not like a normal cake, but not like some other vegan cakes I have had that tend to be dry, with an almost grainy texture. The frosting was also good, very flavorful and I loved the hint of salt. It did have a little bit of an odd texture, but not off-putting enough to bother me. I really enjoyed that mini and would like to try it in a full-size cupcake sometime. This mini wasn’t as good as the first one. It was on the drier side and the chocolate ganache just didn’t taste like chocolate. The icing was very good though, especially since I know there isn’t any butter in it. Having recently fallen head over heels for strawberry cake, this cupcake had a lot to live up to… and it DID! The cake was the perfect strawberry, moist, mini treat and the frosting was sweet, smooth, and paired perfectly with the cake. 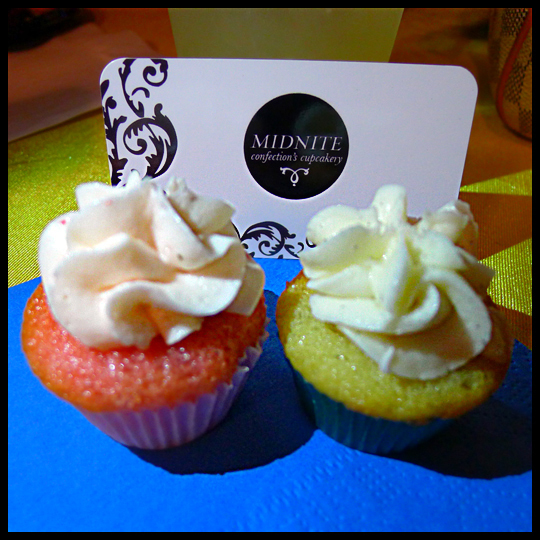 I did not know that Midnite Confections made a strawberry cake cupcake, and it is now a necessity for me to stop by the shop and pick up a full size version. Moist and exploding with vanilla flavor, this mini really packed a flavor punch. 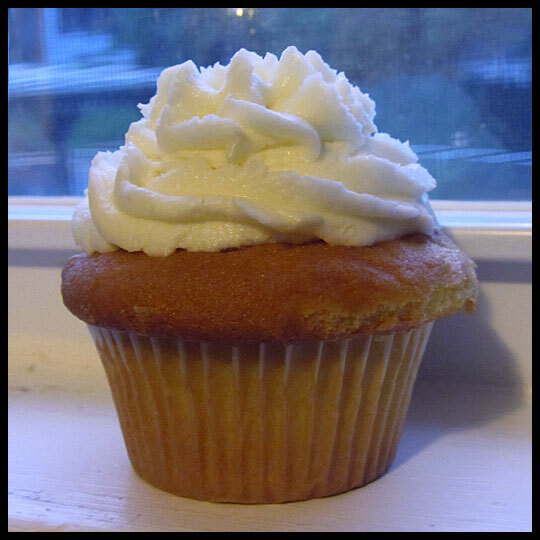 I’m not always a fan of vanilla/vanilla cupcakes, but I enjoyed this mini and know I would love their full size cupcake. The Best of Baltimore party was fantastic, I cannot thank Alyssa enough for taking me as her date, and I thank Crusader Stacy for suggesting I write a post about the cupcakes featured there. An awesome party, with cupcakes, and a post?! Count me in anytime! Most Baltimore City residents are familiar with the food truck rally, called The Gathering, which takes place just about every Friday night at various spots throughout the city. This gathering gives those who aren’t able to visit each truck during the middle of the week a chance to come out and eat some great food from any vendor they choose. Some of the most popular food trucks, like Miss Shirley’s, the Gypsy Queen, and Kooper’s Chowound Burger Wagon are often (if not always) present at these frequent meet ups. Of course they wouldn’t be complete without our city’s cupcake trucks, IcedGems Baking and Cupcake Runners. We have reviewed IcedGems Baking many times before. Every week they are out and about stopping at the city’s various neighborhoods, so everyone gets a chance to indulge in a special treat at least once a week should they choose to do so. Even with their busy schedule and a storefront in Reisterstown, you can always count on them to be at the Gathering. 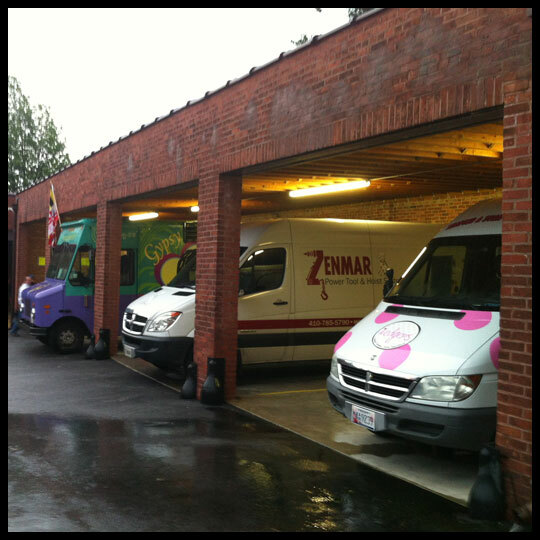 Cupcake Runners are a bit more difficult to track down and they aren’t able to make it out to every Gathering, but finally, on one very rainy night, I found myself standing at the side of their truck ready to place my order. Their selection was fairly limited, not at all like the list of fifteen or more flavors that IcedGems typically has, but they were incredible friendly and I happily walked away with a Classic Vanilla cupcake and a Lemon cupcake. Unfortunately both cupcakes didn’t make it home in perfect condition… I think the combination of the bag, the soft frosting, and trying to manage an umbrella in the pouring rain was just too much working against the little sweet treats. 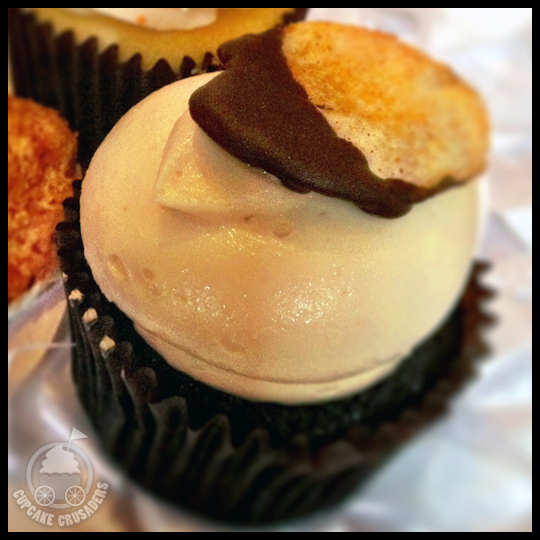 This was an old school cupcake with no frills or bells and whistles. It was moist and light, with a subtle, but present, vanilla flavor. 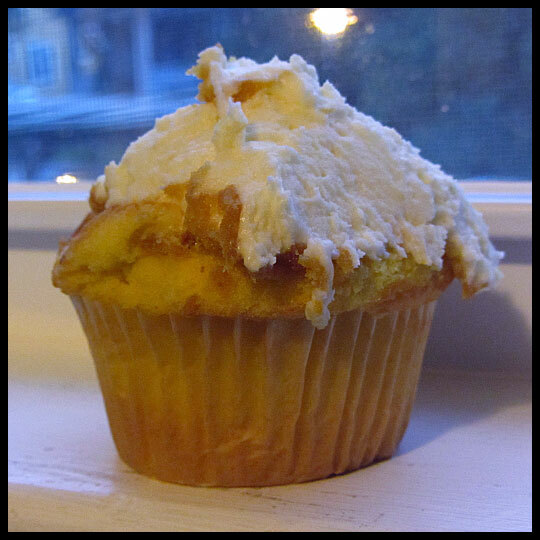 It had really great lemon flavor, but was also just a simple classic cupcake. While I really enjoy all the interesting and unique flavor combinations bakers are creating with cupcakes, it is nice to just get back to basics sometimes. Cupcake Runners has proven that they can make a good cupcake. I recently saw that they also have some new “happy hour” cupcakes they are selling, but the last Gathering they attended was rained out. Hopefully I’ll be able to track them down again and sample their more elaborate flavors as well. That same night, I also decided to stop by the IcedGems truck to try a new flavor I saw them post to their Facebook page: Neapolitan. 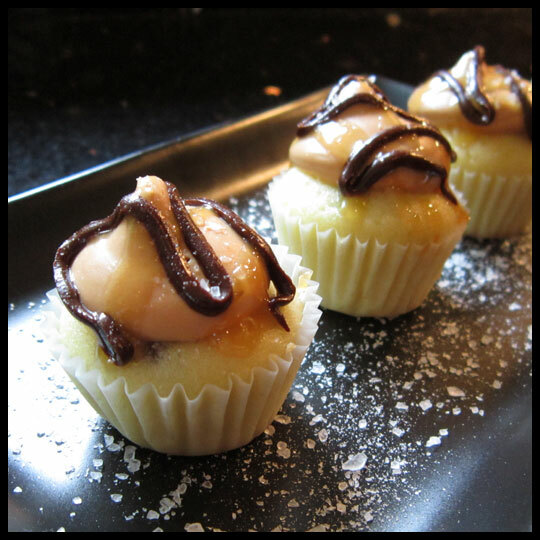 Like the traditional ice cream flavor, this Neapolitan cupcake is a blend of vanilla, chocolate, and strawberry. As a kid I would always opt for just the vanilla and chocolate portion of this mixture, but have grown to love the combination of all three flavors as an adult. This cupcake did not disappoint. 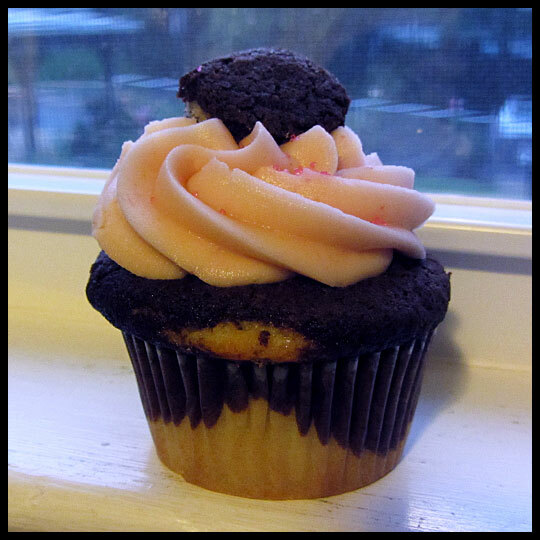 Each flavor presented itself well, from the marbled vanilla and chocolate cake, to the sweet strawberry frosting. That night I only chose that one flavor from IcedGems Baking, but a little while later my co-workers and I were surprised with half a dozen IcedGems cupcakes from our boss! There was a great variety of flavors like Lemon Raspberry, Strawberry Cheesecake, Peaches N Cream, Victoria (vanilla with strawberry jam), French Toast, and Chocolate Raspberry. Luckily my co-workers share my same thoughts on sharing (you get to try more flavors that way), so we started cutting cupcakes up and every one could take pieces of which ever they wanted to try. That day I finally tried the Strawberry Cheesecake (it had been on my “must try” list for quite some time…), the Lemon Raspberry, the Peaches N Cream, and the French Toast. The Strawberry Cheesecake was exactly what I was hoping it would be. The rich “cheese cake” frosting was smooth and wonderful, and the strawberry filling complemented the savoriness of the frosting to create a well balanced treat. The French Toast was another stand out to me. This is one of Crusader Elisa’s favorites, which she reviewed here, and now I know why. She best described it as “maple/cinnamon/cake heaven.” I’m so glad I could finally experience it for myself. 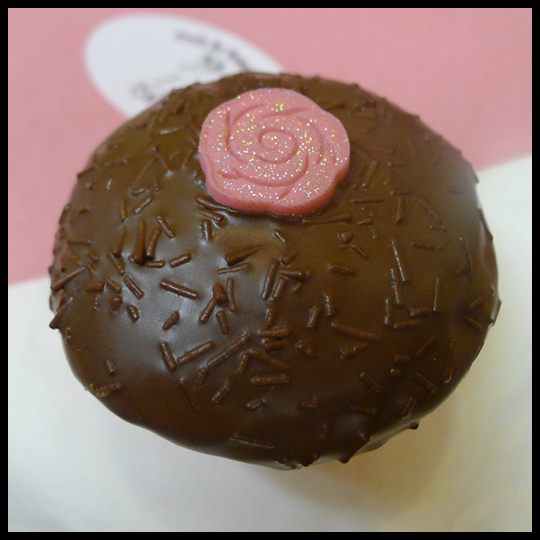 IcedGems also included a Chocolate Salted Caramel cake truffle which contained the perfect salty and sweet balance to create a to-die-for bite-sized morsel. The food truck craze seems to be making its way slowly to all the major cities in the US, and I am very happy to say that we have two great cupcake trucks that are a part of this growing industry. If you haven’t had a chance to visit one, or both, of these cupcake trucks, you can look them up on their Facebook pages (here and here) to find out where their next stop will be. 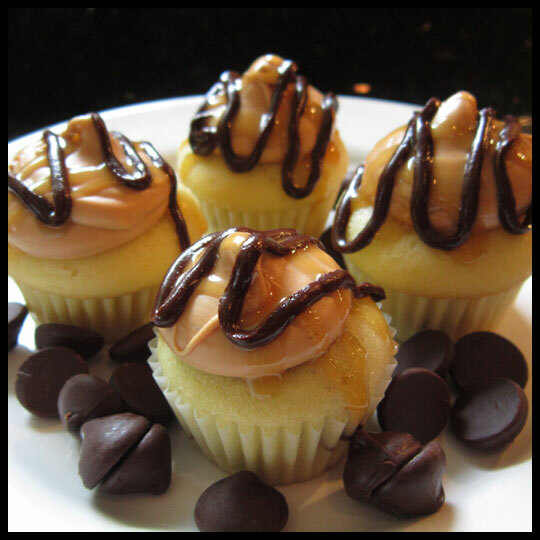 Snickers Cupcakes: As good as they sound! When each of us were planning the desserts we wanted make for the bake sale, I knew right away what I would bake. 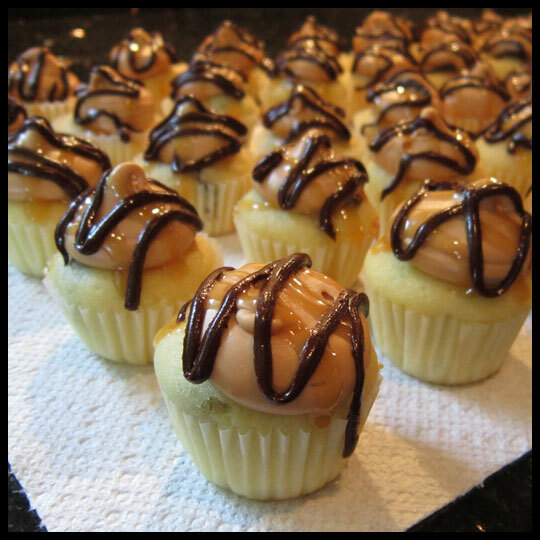 A while back my big sister, Alissa, emailed me a recipe for Snickers cupcakes from Parents.com saying, “These look super yummy!! !” Knowing that she would be attending the bake sale and that these would be a huge hit, it was an easy decision. The ingredient list was simple. For the cake: 1 box of devil’s food cake mix, 1 box of instant chocolate pudding mix, sour cream, vegetable oil, eggs, water, vanilla extract, and 24 miniature Snickers. 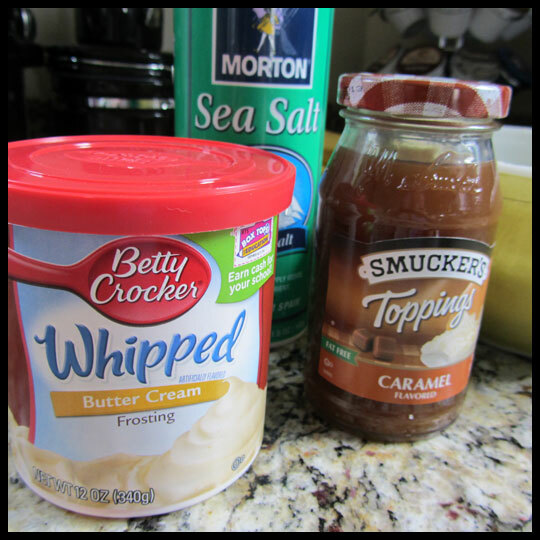 The frosting was even easier: a tub of buttercream frosting, caramel sauce, and sea salt. Obviously, this was the perfect recipe for me. I did have a temporary freak out moment, when I realized that the box mix in the recipe was 18oz and mine was only 15oz, and that it called for a 3.9oz box of pudding mix and I only had a 1.9oz box. Even though I was excited to try a new modification to a box mix, I decided to scrap it this time and just add the pudding mix to the cake mix and follow the rest of the directions from the back of the box. I have done this minor modification before (see here), knew it would work, and didn’t want to take any chances. I did decide to add chocolate chips to the batter though, after learning that my mother-in-law does this with her chocolate cake (and it’s amazing!). Once the batter was mixed, it was time to add in the Snickers. 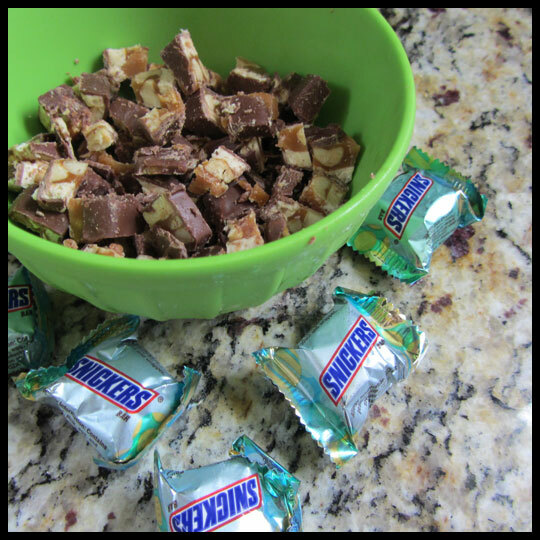 The recipe requested that they be frozen, but cutting frozen miniature Snickers bars is not an easy task. In fact, I wouldn’t recommend it to anyone. Instead, I would suggest cutting the Snickers in advance and then putting the halves in the freezer. 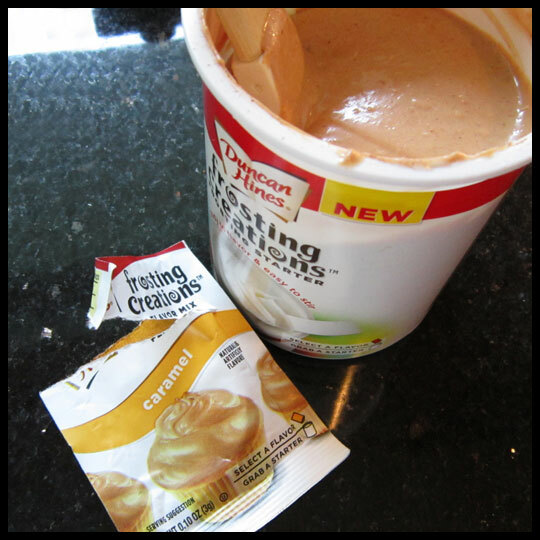 After those two small inconveniences, I was ready to mix the frosting. With only 3 ingredients, there was no way I couldn’t mess this up. Despite using frosting from a tub, this is probably one of the best I’ve ever made. Normally tub frosting is overly sweet, but the caramel flavor blended really nicely with the butteriness of the frosting and the addition of the sea salt created a nice balance. 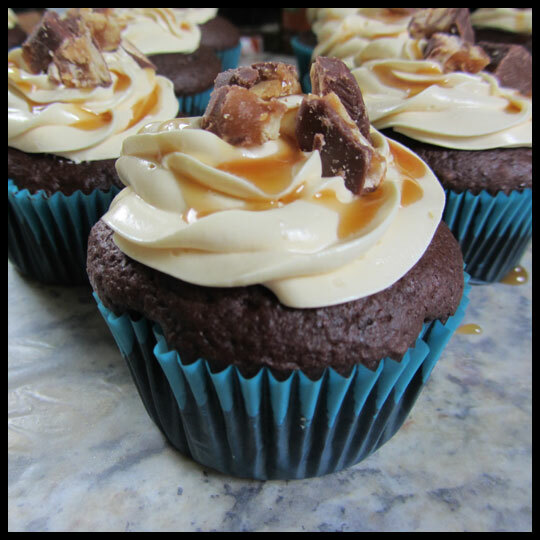 Once the cupcakes were cooled, I was able to pipe the frosting, add a caramel drizzle, and top with crushed Snickers. Easy Peasy. Don’t you wish you could dive into your monitor and eat one of these? I wish I could. I only had a chance to try part of one while baking to make sure the cake and frosting worked well together, but since they sold out at the bake sale, that small taste was all I got. I know for a fact that I’ll be baking these again! They are a cinch to make and too delicious not too! Do you have a favorite recipe you love that is almost too easy? If so, let us know! We are always looking for new cupcakes to try!